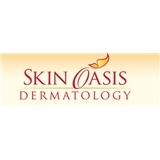 Skin Oasis Dermatology (Gambrills) - Book Appointment Online! **The practice requires 24 hours to cancel (one full business day) for medical appointments and 48 hours for cosmetic appointments (two full business days). For medical and cosmetic appointments a $100 fee is charged for "no shows," "late cancellations." ** Copays, co-insurances and deductibles are required at the time of service. I always feel like I am in the hands of a healer and true professionals when I visit Dr. Miles and her team. I'm sad to miss their open house this evening.